Most of us are in a position where we understand how businesses work and that companies like Apple which sells hardware needs to make a percentage premium on that sale in order to stay profitable. That makes perfect sense. But just how much profit does Apple make on the sale of each iPhone? Well, where iPhone XS Max is concerned, estimates suggest Apple’s markup is nothing short of astronomical. Apple announced its brand new iPhones at a dedicated media event earlier this month. Out of those three devices announced, iPhone XS and iPhone XS Max are now available around the world in the hands of what we can presume to be extremely happy consumers. Priced from $999 and $1,000 respectively, iPhone XS and iPhone XS Max are never going to be considered throwaway or cheap purchases. 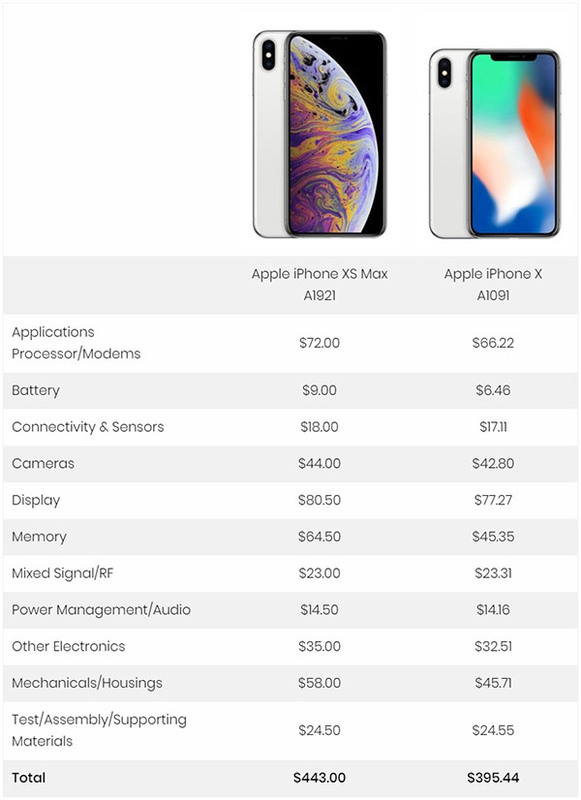 With that in mind, what a consumer sees is the retail value of the device or the price that Apple sells the unit at but how much does it cost to make? The first breakdown of this year’s range suggests that the $1,249 256GB iPhone XS Max costs Apple just $443 to design and manufacturer and push out into the market. As per, TechInsights has designed to take the latest iPhone model and tear it down to find out what’s inside. That involves looking at individual components and attempting to put a dollar value against the purchase of each part to try and come up with a final cost to Apple. The $443 value that they have arrived at means that iPhone XS Max costs less than $50 more to produce that last year’s iPhone X model, which the site estimated at $395.44. 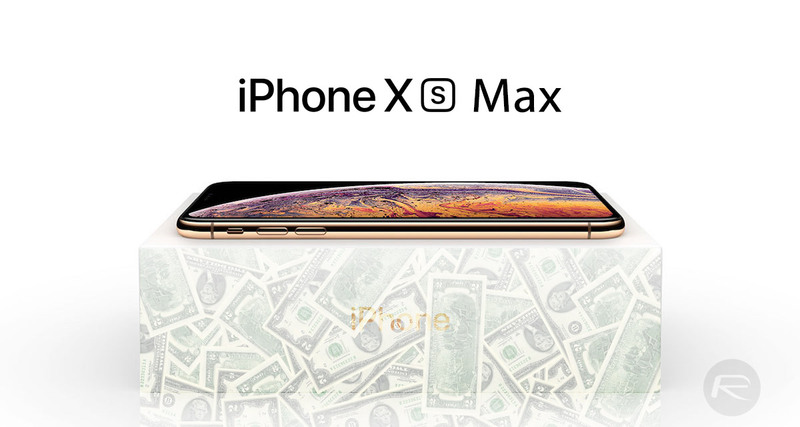 Out of every individual component which makes up iPhone XS Max, the site suggests that the gorgeous OLED display is the single most expensive overheard at a projected cost of $80.50 per panel. And, of course, the higher the internal memory of the device that is purchased, the more money Apple actually makes as it charges a huge premium for storage upgrades. It’s estimated that Apple typically pays approximately 25-cents per GB of storage, which is the cost to the company, but passes that onto the consumer at around the 78-cents per GB mark. These prices will never be confirmed by Apple or any other vendor for that matter, but even if semi-accurate the numbers show just how much profit Apple is potentially clawing in from 2018 iPhone sales. $443 to design a flagship device? Uh.. R&D is in the tens of millions.. 180% markup… and? That restaurant you ate at last night? 300% markup on the food you ate. While I’m sure the profit margins are huge, there is no way to get a real accurate cost assessment, as no one outside of Apple knows how much money was spent in R&D for all of the proprietary hardware (and software) in the device – most notably the A12 chip…. Then don’t eat there or buy their phones then. The choice is yours. EVERY restaurant marks up food that much! That Big Mac you ate? it costs McDonalds like .30 to make it and they charge you $3. That doesn’t mean they get $806 profit on each phone. This is useless and BS information.